Eurodollar is still moving upwards; market broke all important levels and may continue growing up. 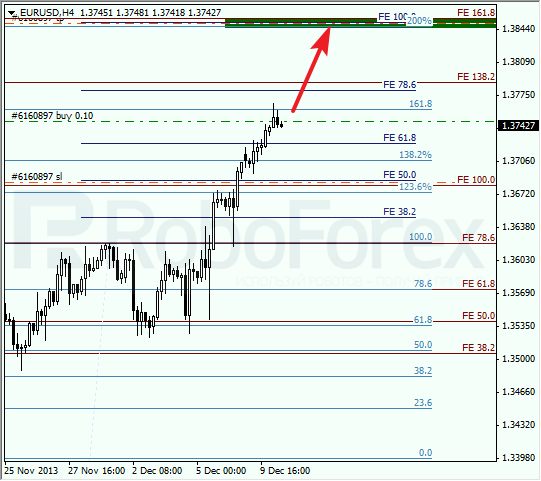 Next target for bulls is several fibo-levels in upper area, near level of 1.3850. At H1 chart, we can see one more confirming level, 161.8%. Bulls may reach next temporary fibo-zone on Wednesday. Later, price may rebound from predicted levels and start new, deeper and more serious correction. Franc is still moving downwards inside bearish trend. Most likely, in the future price will continue falling down towards closest target area near level of 0.8840. Expecting this to happen, I opened short-term sell order. 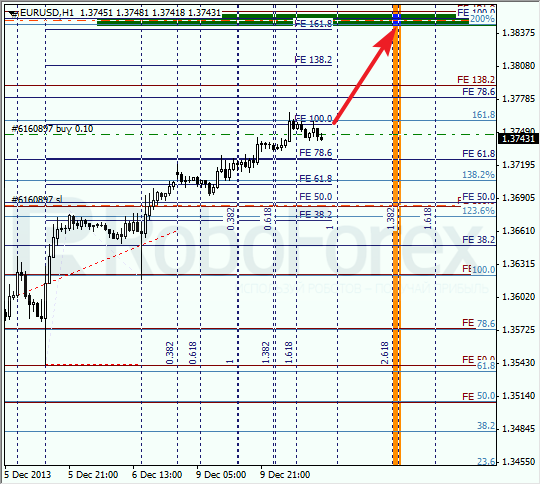 At H1 chart, target area is formed by four fibo-levels. According to analysis of temporary fibo-zone, these levels may be reached tomorrow. Later price may start new correction, at least.